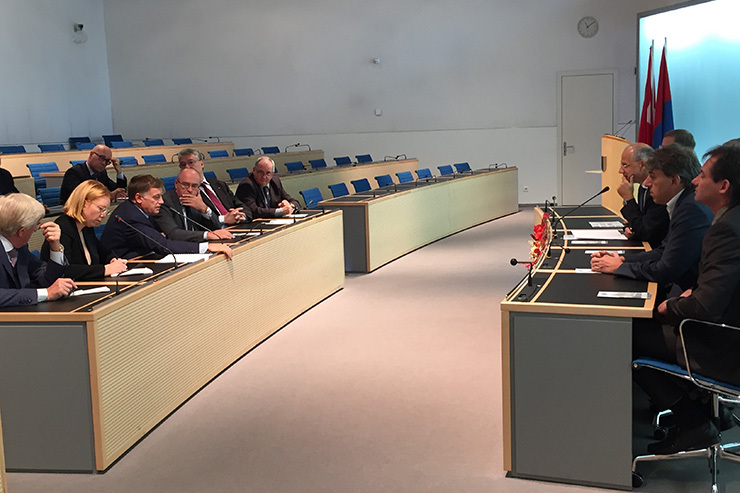 The visit of the St.Petersburg’s delegation was a good example demonstrating the intentions of Swiss and Russian local authorities to conduct direct dialog, which will benefit local communities of both countries. 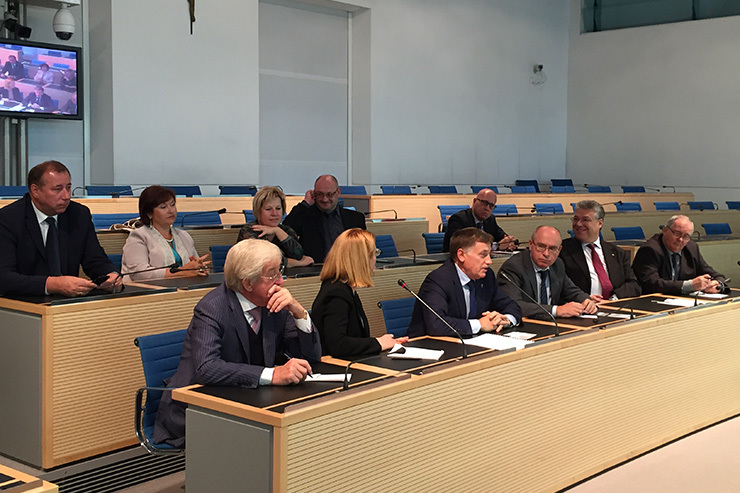 The official part of the visit was the signing of the Memorandum of understanding between St. Petersburg and Ticino parliaments, which established a framework for further cooperation in economic, scientific and cultural fields. Ticino and St. Petersburg have a rich common history. In XVIII siècle Ticino’s architects made a significant contribution to the construction of the capital of the Russian Empire. The visit’s program was based on local geographical and historical facts. 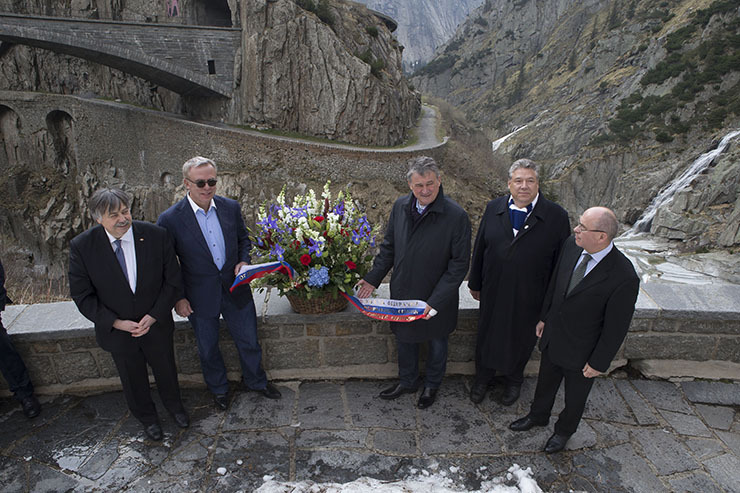 The delegation retraced the Alpine crossing of General Suvorov in reverse, starting in Andermatt and finishing in Ponte-Tresa. 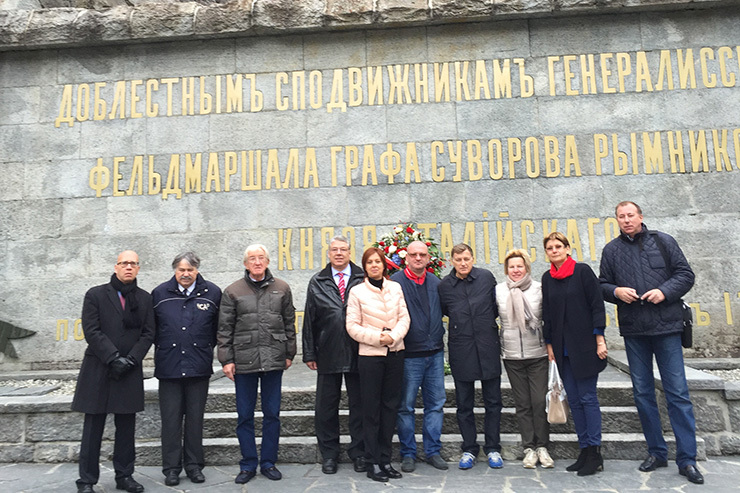 The Georgian parliamentary delegation and the representative of the Batumi region visited St.Gotthard region on October 7th 2017. 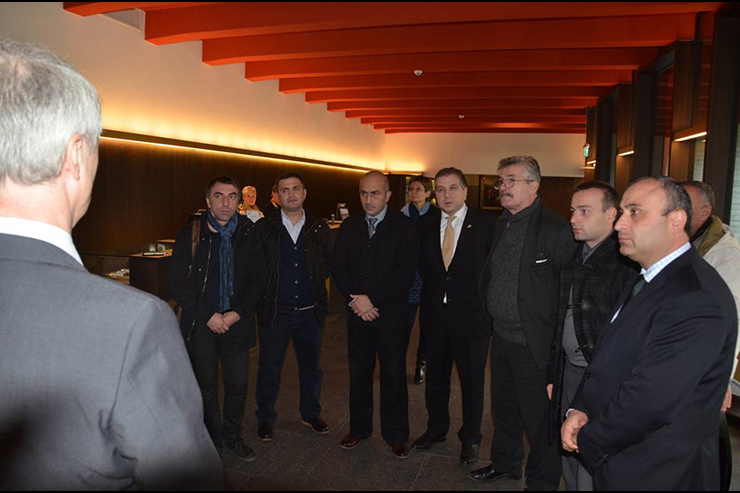 The visit was focused on the potential coopertion in the sector of tourism and cheese production. The delegation visited Leventina valley and its cheese production factory Caseificio del Gottardo and studied its production chain. 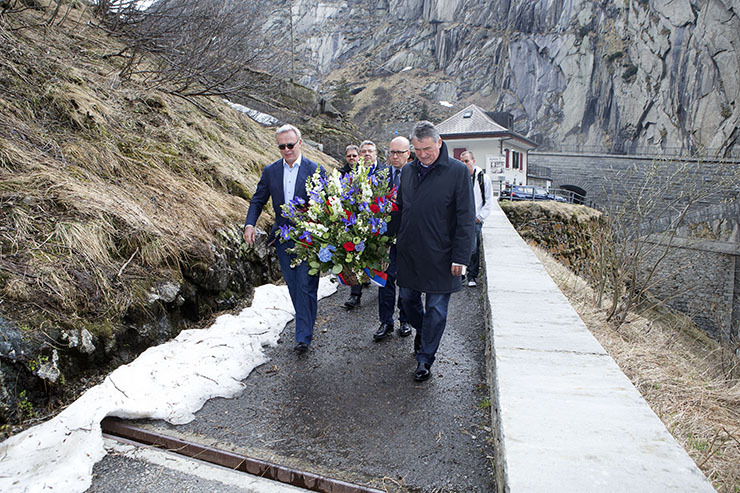 The delegation paid special attention to the cooperation in the tourism sectors, particularly between the ski resorts, Georgian and St.Gotthard (Andermatt and Airolo). The delegation of the Almaty region visited the Canton Ticino and the St.Gotthard region on October 10-12th 2017. The future strategy of the cooperation with the Almaty ski resort and Kazakh agricultural producers was discussed during the visit. 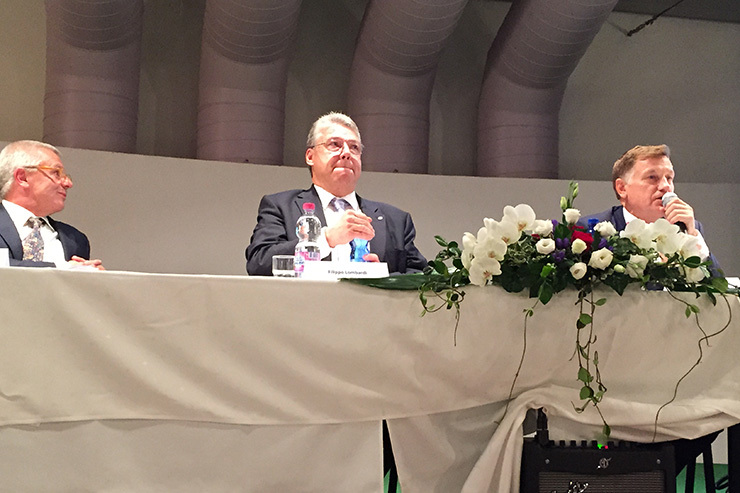 April 25th, 2014, The delegation of the Federation Council of the Russian Federation headed by Yury Vorobiev, the Deputy Chairman of the Federation Council and the President of the group of friendship Russia-Switzerland, visited Switzerland during the celebration of the 200th Anniversary of diplomatic relations between Russia and Switzerland. The program of the visit was filled with bilateral meetings of chairmen of both Russian and Swiss friendship groups and the delegation members with deputies of the Swiss Parliament. At the meetings parliamentarians discussed the issues of bilateral cooperation and the increasing role of inter- parliamentary relationships. 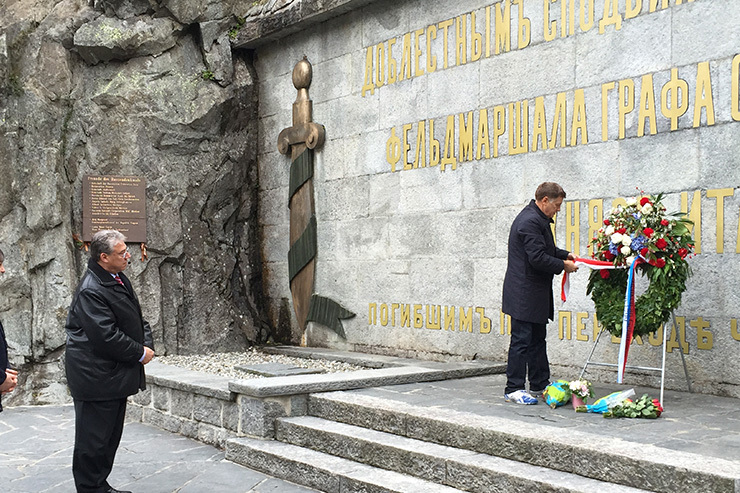 The delegation of the Federation Council laid flowers at the monument dedicated to Generalissimo, Field Marshal Alexander Suvorov, located in Andermatt and also visited the Suvorov’s memorial museum. The 215th Anniversary of the legendary campaign was in 2014 – an important event in the history of Russia and in the history of the World wherein Russia played the crucial role. The ambassador of Russian Federation Alexander Golovin accompanied the delegation during this visit. CEO of the Andermatt Swiss Alps, Samih Sawiris gave the welcome dinner in honor of the delegation in the hotel Chedi. 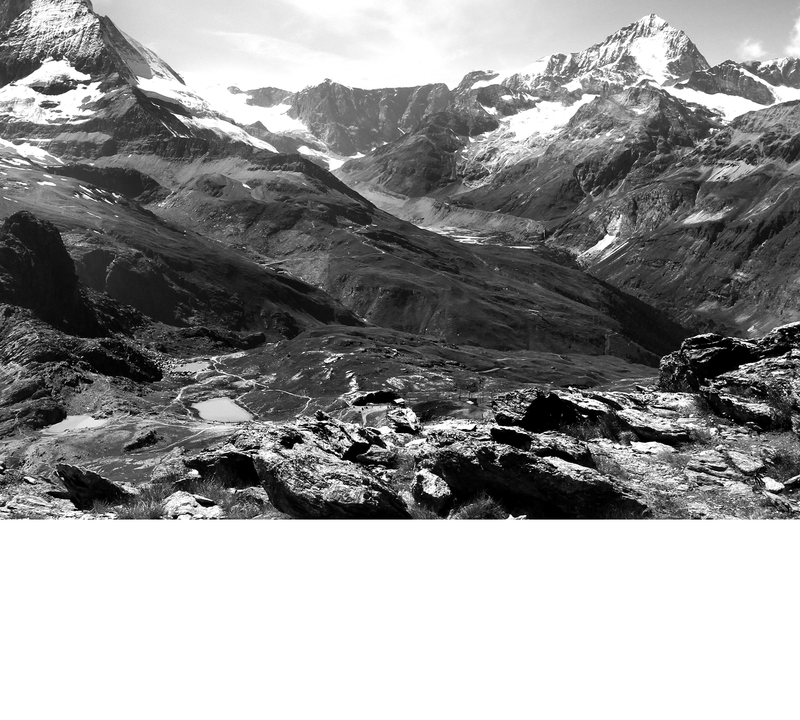 The relationship between Switzerland and Georgia has a special significance. Since the diplomatic relations between Russia and Georgia were broken down, Switzerland has held a protective mandate, which means that it represents Georgia's interests in Russia and Russia's interests in Georgia. This mediation is highly appreciated by both countries. Switzerland has welcomed and initiated official and non-official meetings between both countries’ representatives aiming to reach peaceful solutions and agreements. 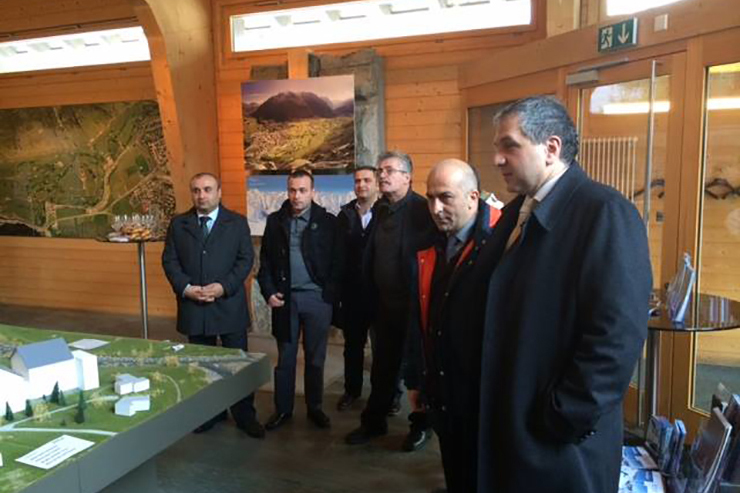 In December 2014 a delegation of Georgian regions’ authorities and representatives of the Georgian National Agency for Cultural Heritage visited cantons Graubunden, Ticino and Uri. The delegation was received by Cantonal authorities and had an opportunity to get to know more about the cantonal system of cultural heritage preservation. 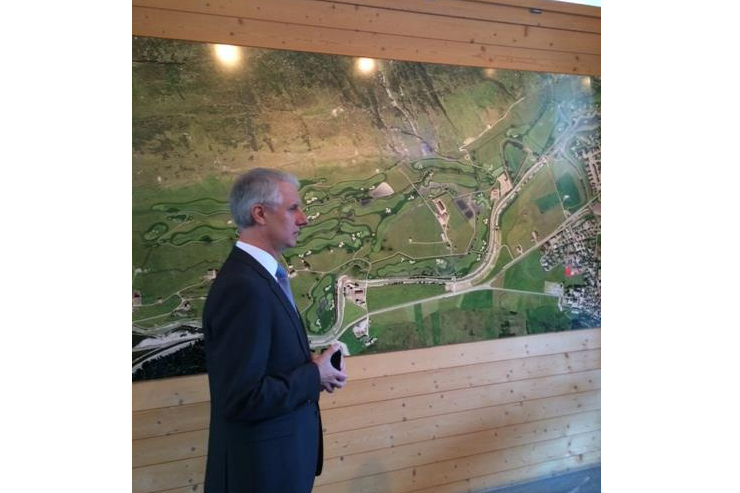 The delegation also visited Andermatt and got information about the new resort project of Andermatt Swiss Alps. During this visit the delegation was accompanied by the Ambassador of Georgia Irakli Kurashvili.